Once more, I'm happy to be posting about a successful Kickstarter campaign that's now available for general release. 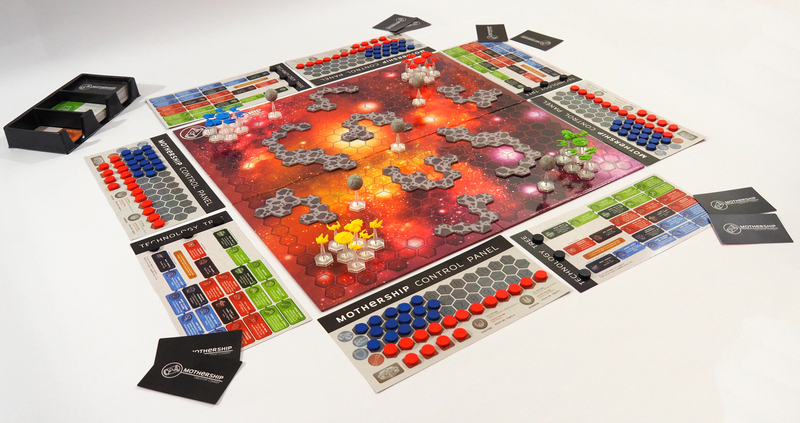 Mothership puts you in charge of an alien race that's at war with several others (there's only so much space out there, and you want it). Capture planets using your fleet of ships, build upgrades, and conquer your enemies. 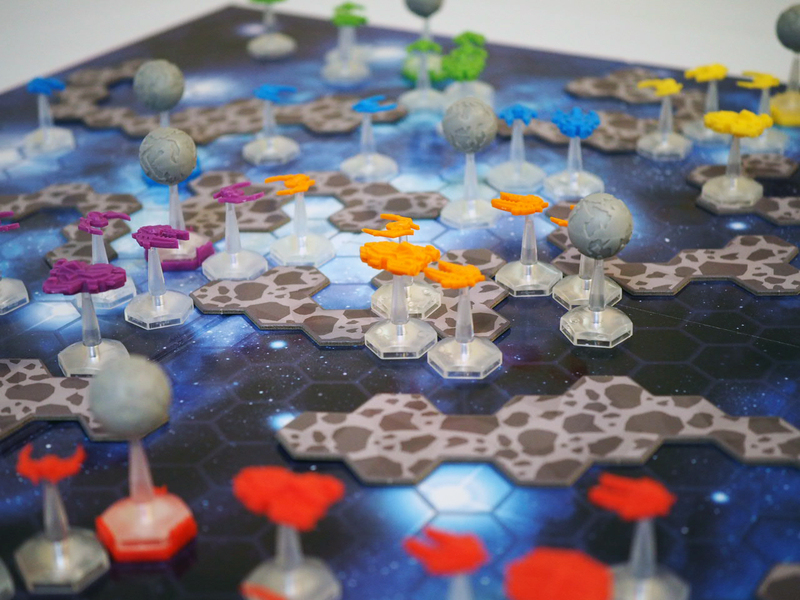 Mothership takes large scale wargaming and shrinks it down into an easy to pick up and enjoyable gaming experience. It's light-hearted, engaging and the most fun you will have had rolling dice in ages! Play in teams or free for all in elimination or victory points mode. Research technology, capture planets and uncover alien artifacts. It's available for immediate shipping right now in a limited edition silver box.